JAniCA Club Blog Translation: What’s Going On in the Anime Industry Right Now?! Blogger’s/Translator’s introduction: A number of weeks ago, I was trawling through my usual Google Reader feeds when I noticed a good number of Japanese sites linking to one of the blogs on the “JAniCA Club” side of the JAniCA (Japan Animation Creators Association) website. The blog, written by anime director Osamu Yamasaki, details the current situation in the anime industry, especially from the perspective of the animators themselves. I found Yamasaki-san’s blog very interesting, and received permission to translate a particularly insightful entry. During this whole process, ANN has posted an article drawing from the same posts, so this may be material you’ve seen before. However, I think that Yamasaki’s presentation of this information is an informative one, and that his original words, though translated, may provide a better picture of things that may have been harder to deduce from the non-editorial style of the ANN post. Of course, I’d like to thank Yamasaki-san and Nekomiya-san, along with everyone else at JAniCA involved in allowing me to post this translation, and I hope to be able to translate and post other articles from the blog in the future. What’s going on in the anime industry right now?! I think that it’s a wonderful thing that the Animator’s Field Survey Symposium 2009 was conducted and held without a hitch. However, you really cannot understand all of what is going on in the anime industry just based off of the information in the Symposium. That’s why I’d like to use this post to set the record straight and clearly explain about the current state of the anime industry. First off, it’s easy to see that the anime industry as a whole is not a poor one, as clearly seen by the large amount of content it is producing to a global audience, on the level of tens of trillions of yen. 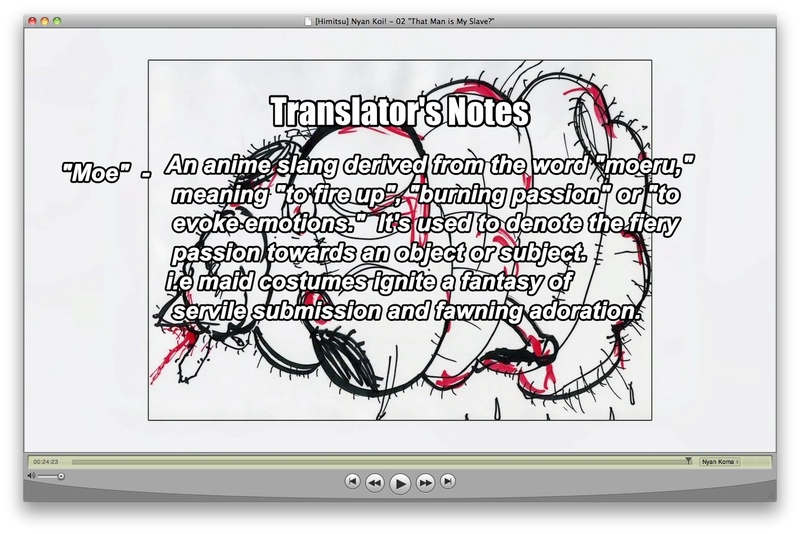 So then why are the animators on these works as poor as they are? Naturally, there is a reason behind this. What you hear quite often is “It’s because the ad agencies and the TV channels take such big kickbacks…” and this certainly may be a large problem. However, I’m not in a position to fully understand what goes on in that realm, and so I’ll avoid talking about that subject as if I knew what really goes on there. There are rumors about the Japan Fair Trade Commission coming in to expose and clean up this section of the industry in the not-too-distant future, and so I’d like to watch what happens with that in time to come. Now, let’s go back and take a look at the state of things on the production side of the situation. As explained in the Symposium, ever since the switch to digital animation, an inbetweener produces 500 drawings on average in one month. The inbetweener is paid 200-250 yen per drawing, and so their monthly income is 100,000 to 120,000 yen, which after 10% tax turns into 90,000 to 100,000 yen take-home pay. From this monthly income, they have to pay for their national pension, healthcare, rent, and food. When you consider that rent in Tokyo is 50,000-70,000 yen, it is clear that one could not possibly live a decent life on this rent. Compared to this, how much does a similarly inexperienced anime painter (shiage, coloring + touch-up animation) make? One painter finishes 2000 drawings on average in one month. The painter is paid 180-200 yen per drawing, and so their monthly income is 360,000 to 400,000 yen, which after 10% tax turns into 320,000 to 360,000 take-home pay. Why does this difference in pay exist? It’s because the relative prices paid per drawing that was established during the pre-digital era of anime exists unchanged to the current day. In the past, a cel painter would have to wait for paint to dry, trace shadows with color, and so on, requiring the same proficiency of technique, as well as time and effort, that an inbetweener needed to have, and they would complete around 700 to 1000 drawings a month. During this period, inbetweeners would complete about an equal number of drawings. This is why you’ll hear veteran animators who worked as inbetweeners twenty years ago often saying, “In my day, everyone was doing 1000 drawings a month,” without really understanding the current situation. In those days, due to the nature of the trace machine1, lines from anything other than graphite pencils, such as lines from color pencils, would not be transferred onto the final cel. This would allow for “one-shot drawings” where one could draw a draft on a sheet in color pencil, then trace it on the same sheet of paper for their final drawing. Also, even if the pencil lines in an animator’s final drawings were not perfectly connected, cels were hand-painted, so one didn’t have to worry about colors extending past their pencil lines as a result of a color fill tool being used on an unconnected area as they do now. Comparing the current methods of digital paint, where one doesn’t even have to color shadows on the reverse side of the cel anymore, the amount of time and labor spent by a painter compared to an inbetweener has decreased drastically. The reason new animators live in such distressed conditions is because the relative prices of these two jobs has not been changed, because of individuals who do not understand the changes that have occurred in these two occupations. This issue is also resulting in the creation of a problem that can result in the breakdown of production schedules. What is becoming of the anime industry, where the conditions above have already been going on for the past ten years? The number of talented young individuals in the current anime industry who can draw decent key animation has shrunk by a extremely large number. The harsh working conditions that new animators face is the primary cause of this problem. This is because newly hired animators will not be able to sustain themselves without these things. With this initial filtering of their applicants, the companies repel a large number of talented individuals who want to work in the anime industry, leaving only those who will work for 50,000 to 60,000 yen a month. While a few young men and women with skill and craft remain within this group, willing to work, a significant amount of the rest of the group are hobbyists. People who don’t particularly care if anime is their job. A large number of staff who treat drawing anime as a hobby enter the industry every year. In the past, most animators quit because they didn’t have the talent for it. But these days, smart and talented individuals are leaving the industry. Of course, this can’t be said about everyone in the industry. I do have juniors in the industry, leading difficult lives where they are trying desperately to pursue animation as a profession. However, working right next to these serious and dedicated individuals are hobbyists who lazily draw pictures as if they were doing it for fun, people who are making doujinshi, or who are playing games, watching anime, or reading manga instead of doing work. If they can earn their monthly allowance of 20,000 to 30,000 yen, they’re happy to continue on with their carefree lives. Smart and motivated newcomers who see that leave the industry. They see their friends in college who were less talented than them go to work in the gaming industry where they make around 300,000 yen a month, and think that it’s just stupid to be crushed by the absurd industry that they’re currently working for. The result of this is that the talent pool of animators is running dry. This has been going on for ten years. The percentage of talented key animators rising up from this pool of fresh animators has fallen drastically. Currently, the exemplary directors, animation directors, designers, and talented key animators who are all holding up the Japanese animation industry are in their 40s and their 50s. Most of these individuals were already working as directors, animation directors, and designers when they were in their 20s. This same group is still supporting the anime industry today. And as the years continue to go by, the weight on these men’s shoulders is only increasing. It’s because there has been a shocking decrease in the number of talented key animators who ought to be fostered by the system. Young animators today can’t draw layouts. They can’t draw key animation or proper timing (exposure) sheets. So, if the director or animation director doesn’t go back and fix everything, then it won’t pass as a decent work of animation. With no other options available to them, the veterans will draw all of the key animation, while the young animators will just do cleanup. This is called “2nd key animation” and people in this position may think of themselves as key animators, but twenty years ago, this was called key animation tracing, which was a job of the inbetween animator. These days, you often hear complaints like, “The director or animation director is getting too involved in production and not doing their checking duties on time, which means we’re rushed on our schedule, and it’s causing us a lot of trouble” coming from colorists, photographers, or sound engineers. However, if the animation isn’t redrawn at this step, the end product will look horrible. The person who the abusive cries of “terrible, off-model animation!”2 and “awful production!” are directed at? The director or the animation director. This is also where a client passes their assessment. If a poor end product is created, the director and the animation director will have a harder time finding their next job. However, decent key animators aren’t being brought up. With no other option, directors and animation directors shave off more hours from their nightly sleep and fix more drawings. Animation directors earn 300,000 yen an episode. On average, it takes a month and a half from the time that drawings are received to the time that the episode is finished. This means a monthly salary of 200,000 yen. These directors are twenty-year veterans of the anime industry. Working in the same place as these directors are inexperienced colorists, making 300,000 to 400,000 yen a month. The producers at the production companies understand the state of things, but they do nothing to change them. It’s because this problem can’t be fixed by just one company adjusting their pay rates. An absolute minimum living wage for a fresh inbetweener is 150,000 yen. Dividing this by 500 drawings a month, that comes out to a minimum of 300 yen a drawing. Currently, the cost of a colored inbetween frame between colorist and animator is 400-450 yen. If you give 300 yen of this to the animator and the remaining 100 to the colorist, do you know how much the colorist would make? 2000 drawings a month times 100 yen = 200,000 yen. Why can’t companies fix their budget like this? We strongly wish that the Association of Japanese Animators, the regulatory body organized of the various production companies, will take the needed measures and enact regulations. 2chan.us is a blog. You can use a feed reader to receive updates on the entries or the comments. The design is called "design" and it is by Shii's Banana Hut. 0.364 seconds just for you.